(Newser) – Actor and comedian Aziz Ansari, the son of Muslim immigrants, wrote an opinion piece for the New York Times this week on "why Trump makes me scared for my family," focusing on the dangers of the candidate's "vitriolic and hate-filled rhetoric." 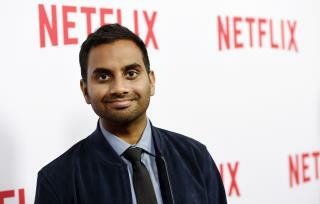 “It’s visceral, and scary, and it affects how people live, work, and pray," the Parks and Recreation and Master of None star writes. "It makes me afraid for my family.” Ansari recalls calling his mom after the Orlando shooting and telling her not to go to a mosque that day because he was afraid for her safety. “I realized how awful it was to tell an American citizen to be careful about how she worshiped.” But he says “prejudice is reaching new levels" thanks to Trump and others like him. Aziz's ignorance is the problem but the problem SOURCE is the ruling internationals that have ruled us since July 4th, 1826. Until we hold our our rulers accountable, heretics of Christ will trample our future to dust.